The first generation Kindle Fire is now three years old, and while it remains a great tablet, it lags behind newer models. So why not refresh it by flashing a standard Android ROM? It was never a super-powered tablet, but the original Kindle Fire was at least a step up from the monochrome delights of the popular Kindle eReader, and just as simple to set up What You Should Know About Setting Up Your Kindle Fire For The First Time What You Should Know About Setting Up Your Kindle Fire For The First Time Amazon’s latest entry into the eBook reader market is a step up from the e-ink devices that traditionally bear the name "Kindle". The Kindle Fire is a 7 inch tablet running a customized version of... Read More . 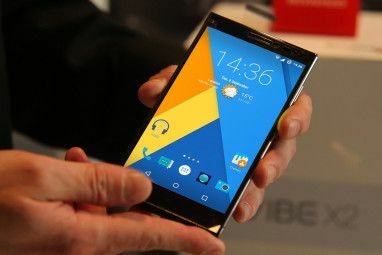 The Fire has a full colour 1024×600 display, 8 GB storage, a dual-core 1 GHz CPU, and runs the Kindle Fire operating system – a modified version of Android 2.3.3 built around the bookshelf/newsstand motif rather than a typical home screen/launcher. Although updates still roll out for the device, its usability as a tablet is reduced somewhat by the user interface design. Furthermore, the lack of access to the official Google Play Store – Amazon offers its own app store – brings with it some unwelcome restrictions. A rooted first-gen Kindle Fire can be flashed with a new ROM, however, which essentially means you get rid of the old operating system and install a brand new one. This enables you to take advantage of the standard Android operating system and increase the functionality and lifespan of your eReader and mobile entertainment device! To customize the software on your Kindle Fire, you should root it. This is a process whereby you gain access to parts of the file system that are usually locked, and assign permission to certain utilities. 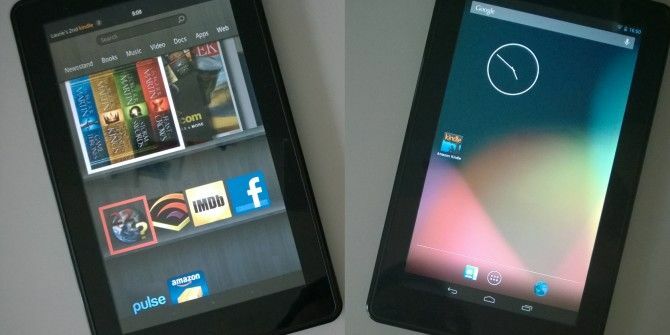 To root your Kindle Fire, you will need to download the Kindle Fire Utility, available free from XDA-Developers. For help with rooting, see our previous article on using the Kindle Fire Utility What You Should Know About Rooting Your Kindle Fire & Getting Access To Google Play What You Should Know About Rooting Your Kindle Fire & Getting Access To Google Play Like any Android-based tablet, the Amazon Kindle Fire can be rooted. This in turn offers several advantages to the user, such as an increase in functionality via previously restricted apps. Unfortunately, the process of rooting... Read More . Please note that this method for rooting the Kindle Fire is for first generation devices only. Using it on second or later generation Kindle Fire tablets will likely brick your device. We are not responsible if you damage or brick your device. 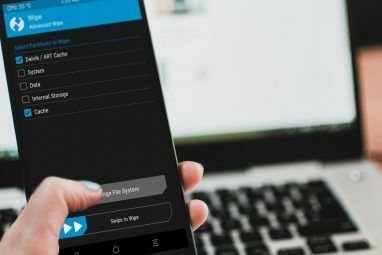 With a rooted Kindle Fire you can backup your data Don't Lose Your Data: 5 Top Backup Solutions For Android Don't Lose Your Data: 5 Top Backup Solutions For Android Everybody needs to back up their data in case something happens to their device. Protect yourself with these amazing backup apps. Read More , which is pretty important. You shouldn’t be attempting to flash a new Android ROM without first backing up your data. You might normally do this by syncing your media and data with Dropbox, or by using one of the many backup tools that are available in the Amazon App Store, but being rooted gives you even more options. After rooting your Kindle Fire using the Kindle Fire Utility, the TWRP Recovery should be installed. By rebooting into TWRP Recovery Mode (run the Kindle Fire Utility and select 1 Bootmode Menu > 3 Recovery), you will be able to take a full, complete backup image of your tablet that can be restored later if something goes wrong or you don’t want to continue with the stock Android ROM. Do this by selecting Backup once in TWRP Recovery Mode, then check the data types that you need archiving. You also have the option of setting a name for the backup. When you’re ready to proceed, swipe the button at the bottom of the screen to confirm and wait. Backing up shouldn’t take too long, and when it has completed you’ll be able restore the data at any time from Recovery Mode. The next step is to choose a suitable ROM. 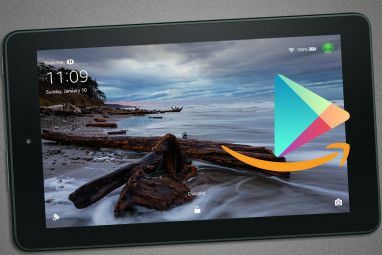 You’ll find some great choices at XDA-Developers.com’s Kindle Fire subforum, where you will find links to download customised versions of Android designed to run on the Kindle Fire. For added awesome, however, I’m going to explain how to install Android 4.2 Jelly Bean on the Kindle Fire first generation tablet, using the stock Jelly Bean 4.2.2 r1 release available from XDA-Developers. If this isn’t to your taste, you should find many alternatives, from the latest CM11 to versions of Android Jelly Bean that have been revised to be specifically designed for use on a tablet (despite the fact that Jelly Bean itself is intended for tablets). There is even a version that is based on the genuine Kindle Fire ROM but with various performance enhancements and a cooked-in Google Play. The steps for flashing are generally the same, but please consult the documentation associated with your chosen ROM. Get yourself prepared by commencing the download of the ROM you plan to use. We’re continuing with this tutorial using the AOSP JELLY BEAN 4.2.2_r1 linked to above. While this is downloading to your computer, connect your Kindle Fire and run the Kindle Fire Utility, selecting option 5 Install Latest FireFireFire. FireFireFire is a custom bootloader that you will need to install any custom ROM. Finally, with FireFireFire now installed, copy the ROM to your Kindle Fire using any micro-USB to USB cable. Your computer should recognize it as an external storage device, just like a USB drive. With the Kindle Fire booted into TWRP Recovery Mode, begin by selecting Wipe to factory reset your device. This will remove all data from the various caches, a prerequisite for successfully flashing your chosen ROM. When this is done, switch to the main menu and select Install. From here, browse to the ROM file and slide the confirmation switch to begin flashing. Make sure you have enough battery to make it through the flash, because it could cause major problems if your tablet dies in the middle of the flashing process. Give it five minutes, and your new ROM will be flashed. Use the reboot option and wait a few moments as Android prepares your tablet. With your Kindle Fire now sporting a full Android look and native apps, you might think that you’re free to hit the store and start installing apps. Yes, it is possible, but first you’ll need to flash the Google Apps package, which you’ll find at goo.im/gapps – use the option listed for Android 4.2.2 or the version number of your respective ROM. Once downloaded, copy the file to your Kindle Fire and again use TWRP to flash the ROM. After completion, restart your Kindle Fire, which will now sport all of the software features you would expect from a new Google Android tablet! You Just Added Years To Your Kindle Fire – And It Still Reads Books! With a new operating system on your old, first generation Kindle Fire, you’ll find that the device is as fast and impressive as it was on the day you pulled it out of the box. As long as the hardware holds up, you can expect several more years of multimedia tablet entertainment from your device. Have fun with your revived Kindle Fire! Explore more about: Amazon Kindle Fire, Android Tablet, Custom Android Rom. I've clicked on most of the links above and they all seem to be dead. I did root my first gen Kindle successfully using another utility.Now I'd like to install TWRP and a new ROM. Any working links? I was able to DL the Gapps, but I cannot find anyone still serving a working ROM. I would love to dust mine off, can anyone point me the right way? Will this work on a KF1 running 10.5.1? The best answer is to head to xda-developers.com and check in the appropriate thread, where the file can be downloaded. My kindle fire keeps telling me that it cannot open the file every time I try to download it. The file downloads but it wont open. I have set my settings to allow downloads from outside sources but it still doesn't work. Can someone help me please? Which file are you talking about specifically? My issue is that I turn on "Allow Installation...", I open a browser and attempt to go to APKMirror to obtain a Chrome APK file but it won't open the website. So frustrating. Does this still work in March 2016? If I were to restore the device to factory settings, would that roll it back to a version earlier than 6.3.4 (which my device is currently running at)? I want to run this tutorial to a 'T' without concern that it will brick. With early models it is difficult to say. I've heard of them being reset to the pre-update status as well as a factory reset "wipe" to the updated version. i have a first gen kindle with version 6.3.4, will this wok for me. 1) The Kindle Reader App won't sync my data. I checked My Devices in the Amazon web page and the device is not on the list anymore. 2) Not a single web browser seems to work (Firefox, Chrome, native browser). They all crash the second it's opened. This sounds as though there is a problem with the flashing process. I would repeat the steps. Thanks.I already did. And the problem with the web browser is solved. But Amazon still doesn't recognize my device, so... can't use the Kindle Reader app. Should I root it again like how I did it the first time? Hoping for your immediate reply, thanks! is it possible to install a earlier version and then try it? There are other methods for rooting if you are at 6.3.3. saferoot works just fine. Is there a kindle fire utility for Mac? Would really like to see this tutorial ported to the Kindle Fire HD 7" model. How would you do this if you have a mac? Another option is N2Aos (n2aos.com) which will painlessly upgrade various Kindle models to JellyBean or Kitkat. This is not a free offering but the $20 asking price (good for two devices) is well worth it IMO. I upgraded a stock Kindle HD7 to KitKat in about 15 min. Brought new life to an aging/lagging device that had been relegated to a closet shelf. Provides full access to Google Play store. The development/support team has been very responsive based on forum posts. Run the free compatibility checker first to make sure your Kindle is supported. How do you tell what generation a Kindle is? Newer models are called Fire HD or Fire HDX. The original Fire doesn't have a camera at all and has a relatively low resolution screen while newer versions have progressively fancier hardware.